COREY Jensen looms as the man to fill Jason Taumalolo's sizeable shoes after the Cowboys confirmed their Tongan lock would miss up to 10 weeks with a grade three medial ligament injury. The news is a blow to North Queensland's title hopes and coach Paul Green will miss Taumalolo's freakish abilities in a tough run of games ahead. 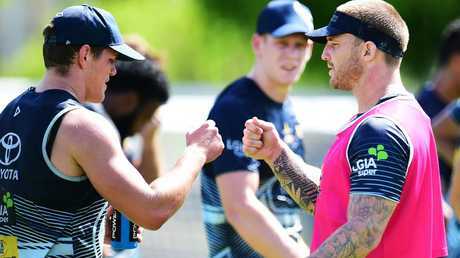 The Cowboys face top-eight sides Cronulla, Canberra, Melbourne and NZ Warriors in the next four weeks but Parr says their enviable depth in the forwards will see them through. "Look, we've got blokes like Cory Jensen in the mix and Scott Bolton coming back from suspension in the near future. These are guys who have done the job for us time and time again," Parr said. "So while it's a blow losing Jason, injuries are part of what happens in NRL and it's something you have to take into consideration. "We're pretty lucky in that we'll probably have the current Queensland and Australian lock (Josh McGuire) who can replace Jason … and Corey has played an NRL grand final, so these are very experienced players who we know can step up." 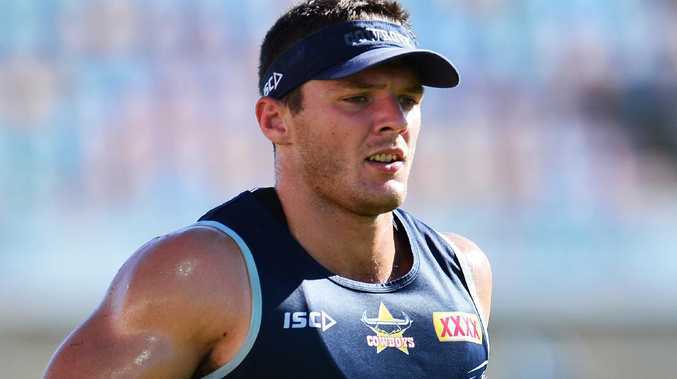 Jensen is a solid replacement and has impressed for Townsville Blackhawks this season while Bolton is expected to return for the Cowboys' Round 6 clash with NZ Warriors after serving his 10-week NRL suspension over a common assault incident in May last year. Young duo Thomas Gilbert and Peter Hola are also tipped to feature in North Queensland colours sooner rather than later off the back of their strong Intrust Super Cup form. "Thomas Gilbert and Peter Hola have been playing really well at Q-Cup level and can come into the side," Parr said. Former Queensland State of Origin legend Ben Ikin echoed Parr's belief and encouraged the Cowboys to emulate their 2017 feats in forging a grand final path minus their star player. 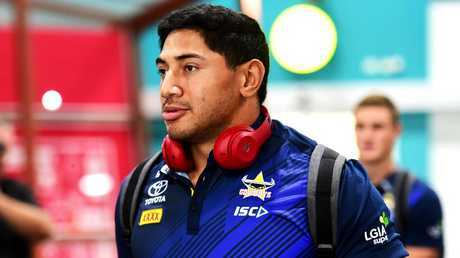 "It goes without saying that the loss of a Dally M player is a big blow, especially someone of the calibre of Taumalolo," Ikin said. "But there is the capacity at the club to respond to crisis. "You only need to look at the season-ending injury to JT (Johnathan Thurston) in 2017. "People might have thought the Cowboys were a finals' write-off, but they went all the way to the grand final." Ikin said Test and State of Origin forward Josh McGuire was another with the quality to fill Taumalolo's shoes. McGuire and Taumalolo were part of early-season rotation that saw Taumalolo shifted to an edge to accommodate McGuire, who Ikin said was outstanding in his showdown against old teammates last week. McGuire ran for 142 metres against the Broncos - the most of any Cowboys' player - and played 72 minutes. 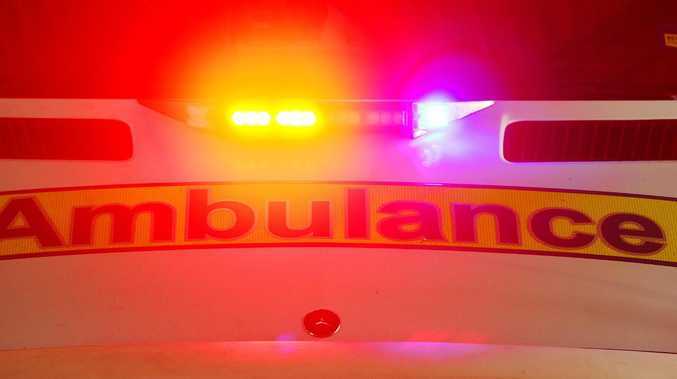 "He really went after the Broncos' forwards," Ikin said.